DVD Authoring is the process of creating a DVD video from interactive content and graphics and burning the DVD video to a DVD disc which can be played on standalone DVD player. The interactive content and graphics in an authored DVD may include a starting logo, menu page(s), scene selection(chapters), a choice between 2-channel stereo or 5-channel surround sound, an option to turn on or off your subtitles, and many other new features. DVD authoring is usually done on audiovisual DVD discs as opposed to music discs and it is accomplished with the help of DVD authoring software. DVD authoring software allows you to group, edit the videos, create the menu system, and ultimately output the video files in the right DVD-Video format, then you can burn those files to a DVD disc, which can be read in any DVD player. 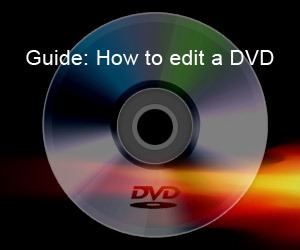 Check our DVD authoring guides. How to merge/join video files with convertxtodvd? You can free download ConvertXtoDVD trial or buy it now(15% Off). If this is your first time to use ConvertXtoDVD you might want to check a complete guide on how to use ConvertXtoDVD to create your own DVD movie. How to edit and re-author DVD using Womble MPEG Video Wizard DVD? In this guide I will show you how to use Womble MPEG Video Wizard DVD to re-edit a DVD movie and then burn it back without any video quality loss. Womble MPEG Video Wizard DVD can import the contents of an existing DVD as a new clip on the timeline and do some editing to the clip and then re-anthor and burn it to a new DVD. 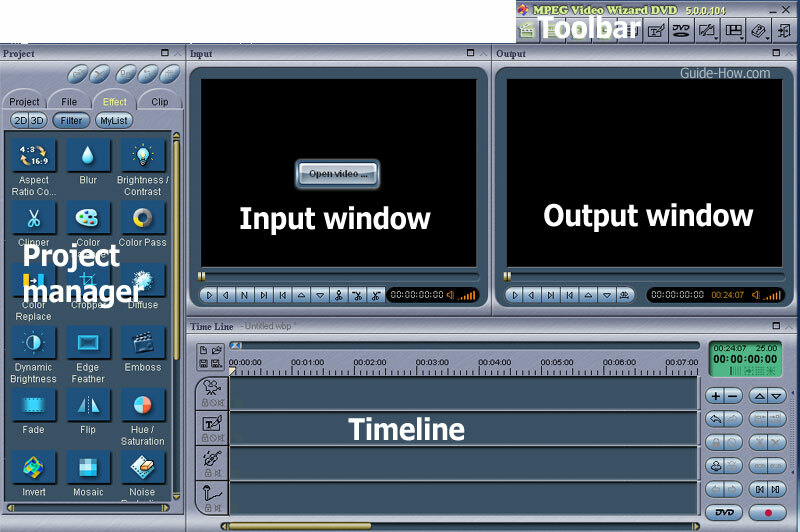 How to adjust window layout in Womble MPEG Video Wizard DVD? Run MPEG Video Wizard DVD, the screenshot is as below. How to author and burn DVD using MPEG Video Wizard DVD? MPEG Video Wizard DVD is a frame accurate MPEG editor which comes with DVD authoring and full AC3 audio support. You can free download it here. Now insert a blank DVD disc into the DVD writer and run MPEG Video Wizard DVD. How to create DVD chapters in Womble EasyDVD? If this is your first time to use Womble EasyDVD you might want to check a complete guide on how to use Womble EasyDVD to create your own DVD movie. Download the 30-day free trial(no watermark, no function disabled or crippled) or buy Womble EasyDVD here . Womble EasyDVD is a streamlined, easy-to-use DVD authoring program for those of us who don't want to deal with extraneous features and jargon that will leave us scratching our heads in confusion. Its step by step workflow and the self-explanatory functional layout makes DVD authoring as simple, quick, and intuitive as possible, enabling you to create your own DVD in a few clicks.